Tantalizing and Investment Worthy. 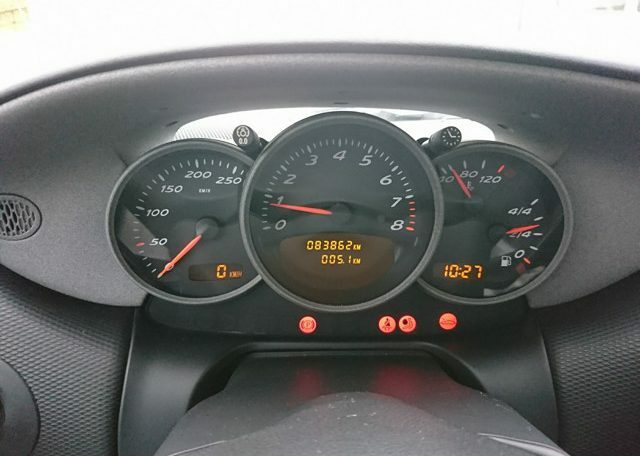 The 2003 Porsche Boxster. 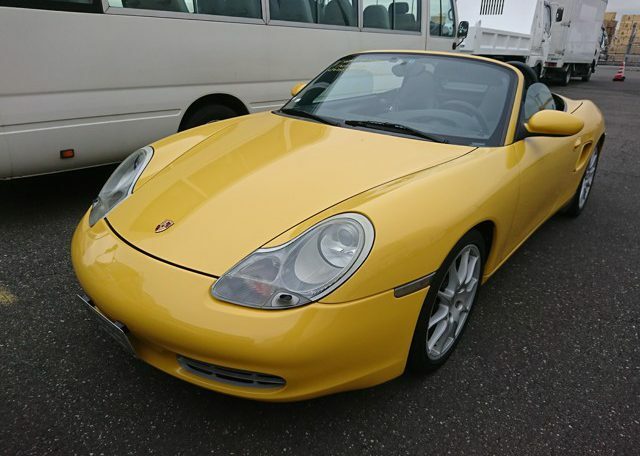 Porsche was in deep financial trouble in the 1990s. 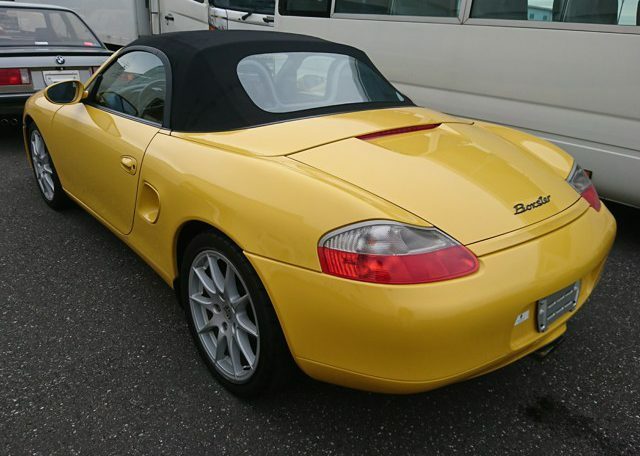 Then the Boxster came along and changed everything by capturing the automotive public’s heart and rocketing Porsche sales into the stratosphere. 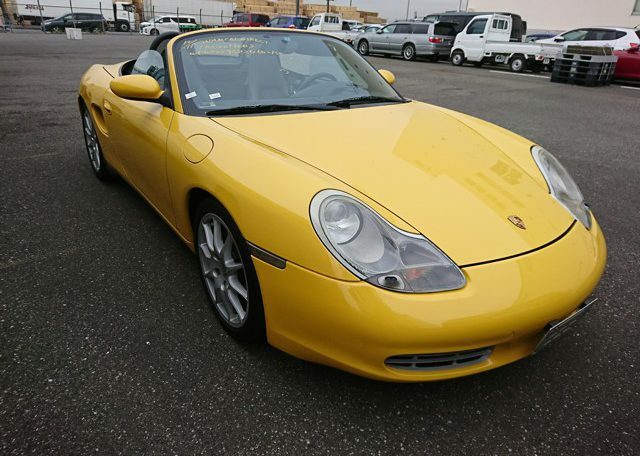 Combining sleek roadster styling with 911-level performance and a surprisingly affordable price, the Boxster was instantly loved by everyone from sports car enthusiasts to critics. Even its name derived from the “boxer” engine and “roadster” styling was a hit. For a while, it was the best-selling model in Porsche history and the industry showered it with praise and awards. 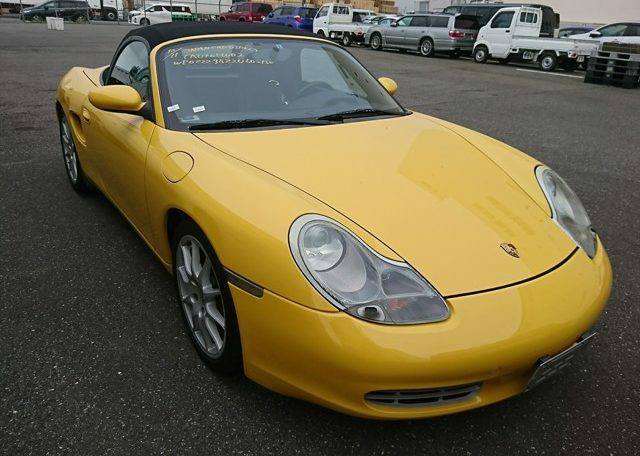 Used Boxster models are still available at reasonable prices around the world, but enthusiasts have been snatching them up like crazy in recent months. Remember how quickly air-cooled 911 prices rose a few years ago? Boxsters may be next in line. 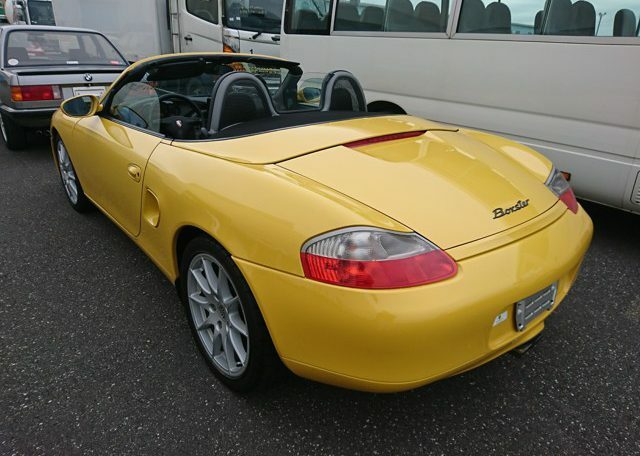 Used Boxsters are typically in better condition in Japan than elsewhere because the roads are more painstakingly cared for and Japanese owners tend to insist on regular Porsche dealer servicing and parts replacement. 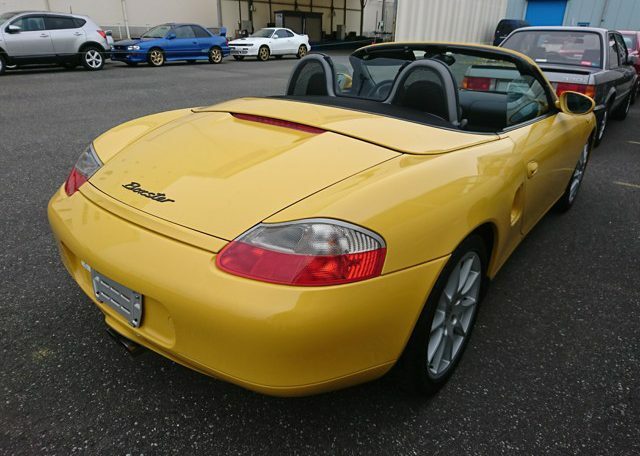 Many used Boxsters can be found with relatively low mileage and impressive service histories at used car dealers and used car auctions in Japan, where you can be pretty sure of finding more car for your money. 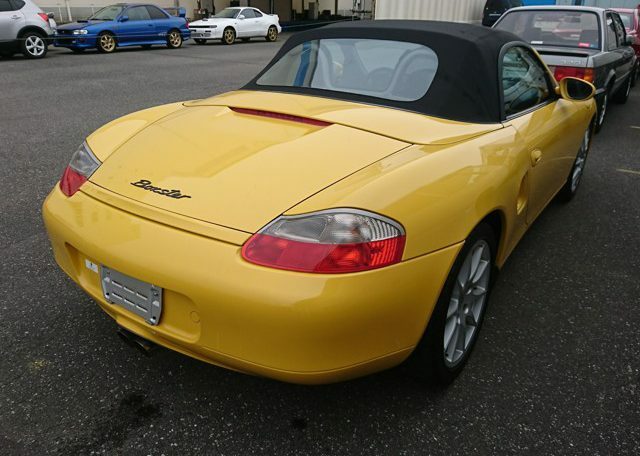 This stunning yellow 2003 Boxster was exported by Japan Car Direct to a very happy owner in Canada who could have settled on a local vehicle in poorer condition at the same price, but made the right choice by choosing higher quality. 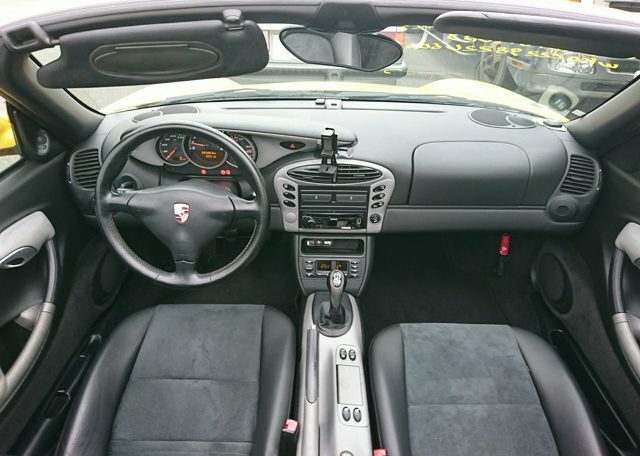 As the second upgraded version of the first-generation Boxster (986), it features a water-cooled, 2.7-liter flat-six engine that generates up to 168 kW (228 PS; 225 hp) of horsepower for zero to 60 mph acceleration in 6.4 seconds. Top speed is 157 mph (253 km/h) and a manual 5-speed transmission puts all that power under the driver’s control. Handling is simply phenomenal thanks to a low center of gravity (courtesy of the boxer engine configuration), nearly perfect weight distribution (due to the mid-engine placement) and classic Porsche suspension magic. 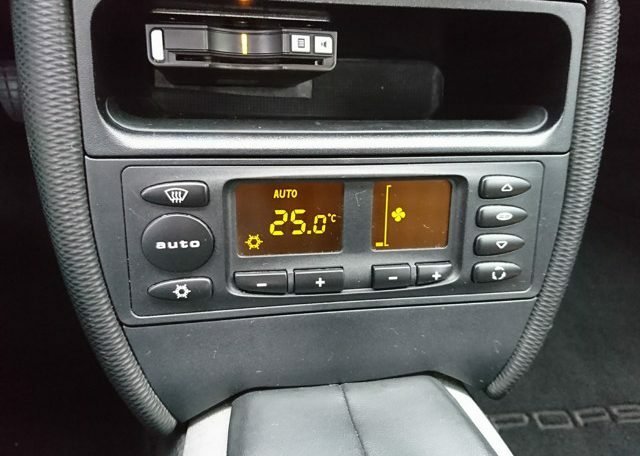 The result is remarkable balance that makes the Boxster fun to drive and easy to control even when pushing it hard around twisting roads. 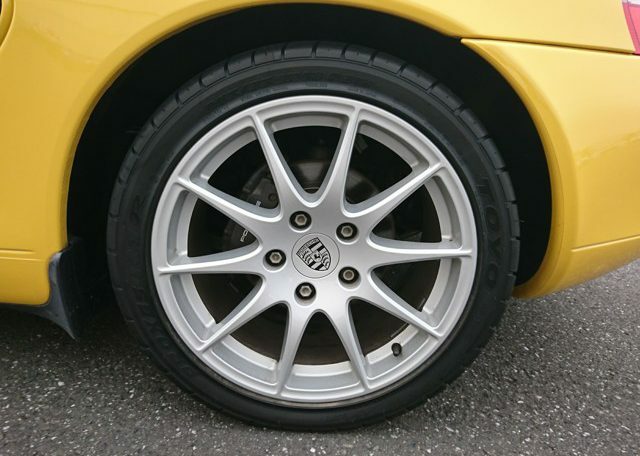 Styling is lean and simple with classic Porsche touches like high rounded fenders. Teardrop headlights proudly proclaim that this is a first-generation Boxster and unique side intakes feed the air filter on one side while releasing hot air from the engine compartment on the other. 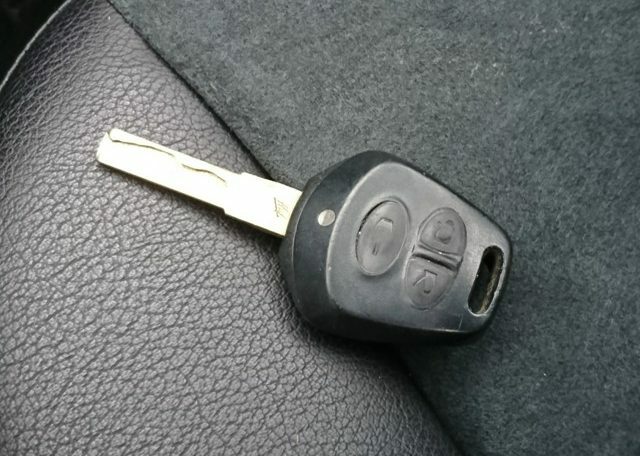 The attractive round rear handsomely presents one cover for the engine and another for the trunk. Since the engine is difficult to access from above the middle of the car, Porsche dealers handle most engine work from beneath. 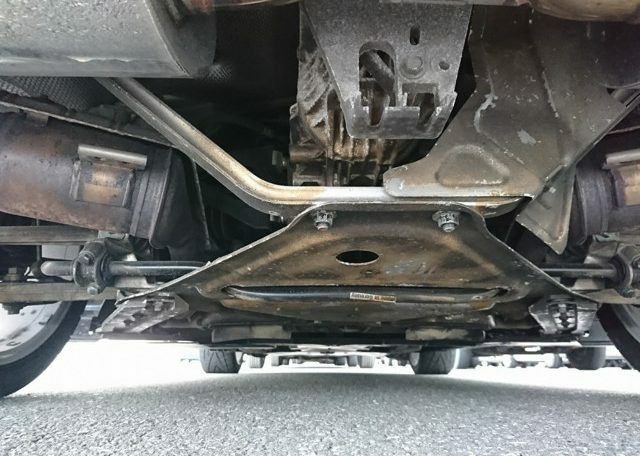 Regular maintenance is simplified for owners by ingenious placement of the brake fluid filler and battery in the front trunk, and the oil and coolant fillers in the rear trunk. 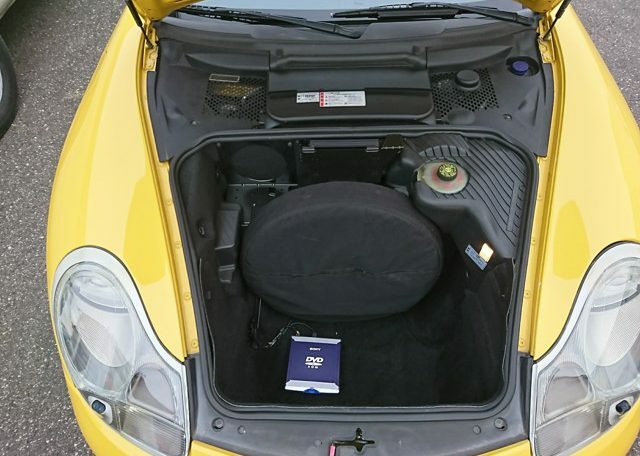 The Boxster offers more luggage space than might be expected. 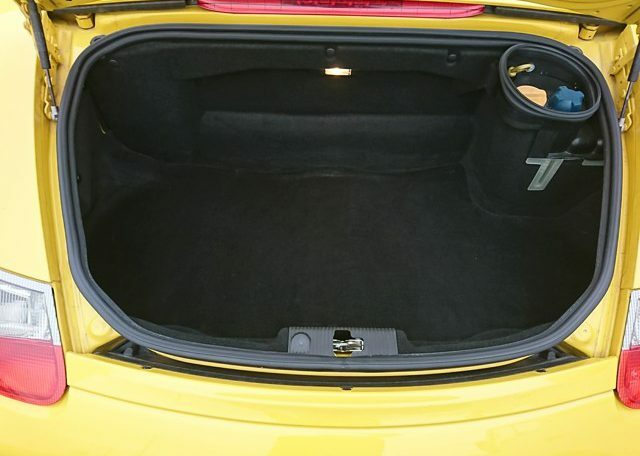 There is ample room for groceries in the front trunk, enough space for a small suitcase in the rear trunk, and convenient compartments in the center console and doors. 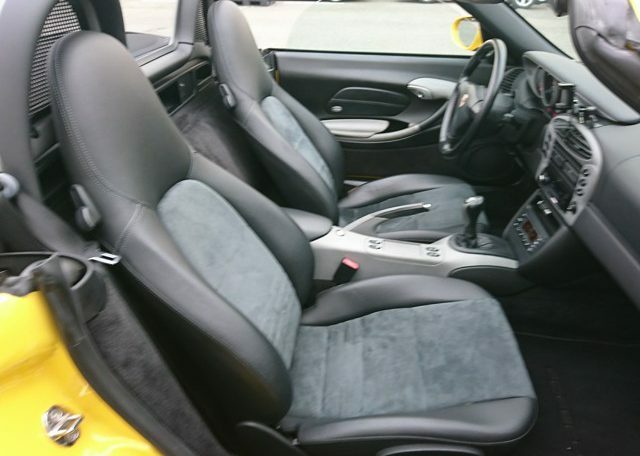 The simple gray interior is reminiscent of a 911. 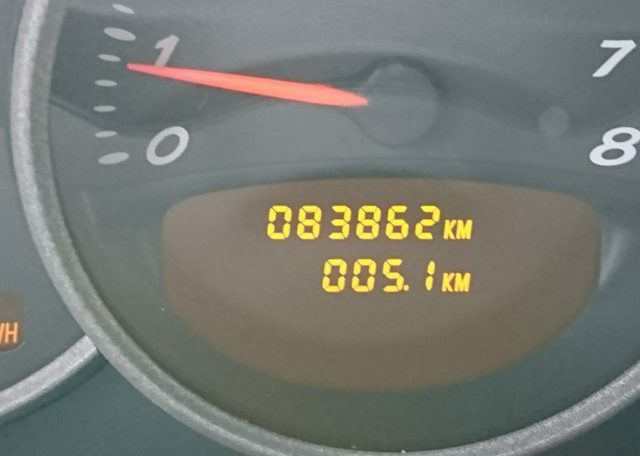 Its dash is smoothly contoured with three sporty meters easily readable through a three-spoke steering wheel. 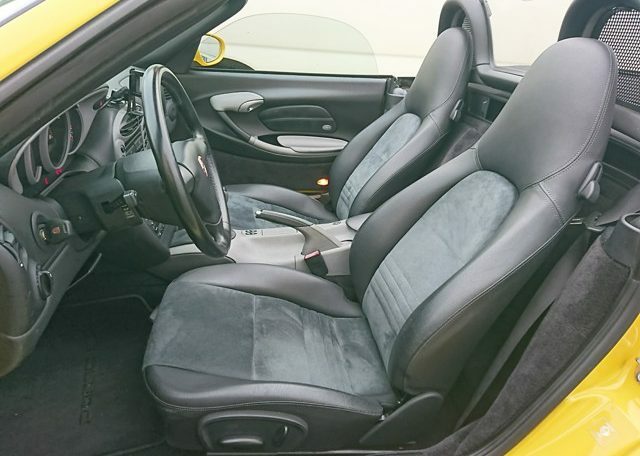 Handsome gray sports seats with durable center fabric and bolstered leather sides provide ample support during spirited driving. 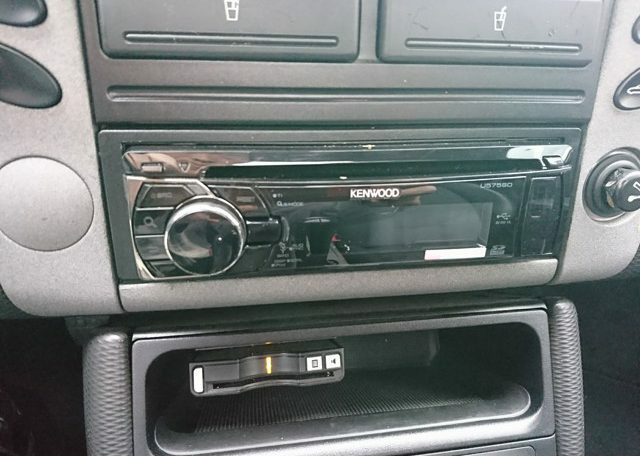 Speakers behind the seats produce excellent sound from the Kenwood audio and entertainment system, and a powerful automatic climate control system ensures comfort in any weather when the roof is on. 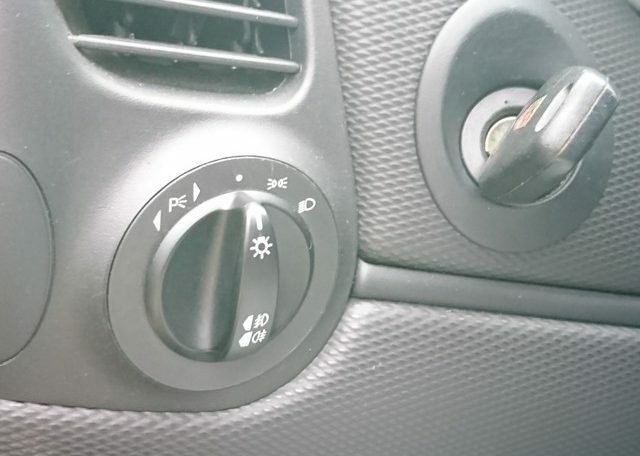 Pressing a button at the driver’s seat electrically lowers the fabric top into a compartment above the engine in about 12 seconds for enjoyment of the wind and sunshine. Rounded roll bars behind the seats maintain stylish protection and the window between them can be removed or inserted with ease. 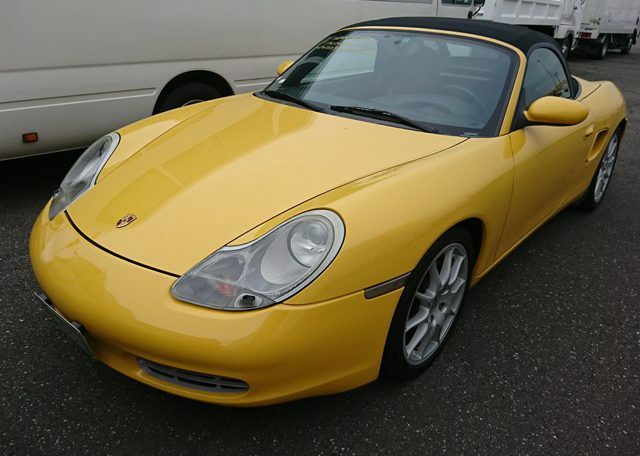 Whether seeking driving pleasure or a solid automotive investment, you can’t go wrong with an early used Porsche Boxster from Japan. The Japanese used car market is the world’s second largest, with an incredible range of choices from used car auctions and specialist dealers, and Japan Car Direct can help you affordably purchase and import the model of your choice from Japan. Give Japan Car Direct a call today and ask about their new reduced pricing!